233 Clarendon is located on the NE corner of Clarendon and Newbury, with 90 Commonwealth to the north, across Alley 436, 100 Newbury (501 Boylston) to the south, across Newbury,103 Newbury to the east, and 230 Clarendon (109 Newbury to the west, across Clarendon. 233 Clarendon was designed by architect Henry Hobson Richardson and built by Norcross Brothers in 1879-1880 for Trinity Church as its Rectory. 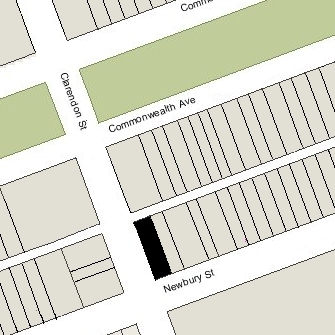 The land for 233 Clarendon was purchased by Trinity Church on July 18, 1879, from Walter Channing Cabot. He had purchased the lot from the Commonwealth of Massachusetts on June 3. 1867. Click here for an index to the deeds for 233 Clarendon. The first resident of the Rectory was Rev. Phillips Brooks, who lived there from the time it was completed. He was unmarried. He previously had lived at 175 Marlborough. Phillips Brooks had served as rector of Trinity Church since 1869. 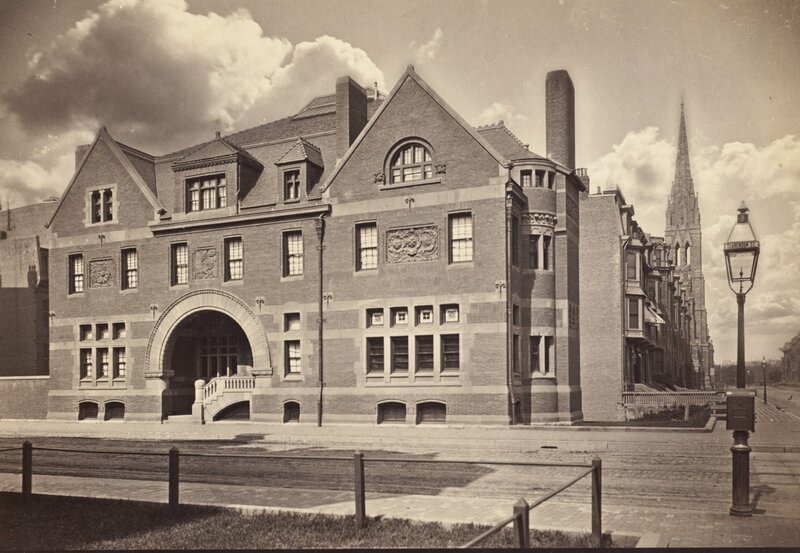 After the destruction of the church building on Summer Street in the Boston fire of November 9, 1872, he oversaw the design and construction of the new church building in Copley Square, designed by H. H. Richardson. In April of 1891, Phillips Brooks was elected Bishop of the Diocese of Massachusetts. After his consecration on October 14, 1891, he resigned as rector of Trinity Church. He continued to live at 233 Clarendon and on May 18, 1892, Trinity Church sold the rectory to the Trustees of Donations to the Protestant Episcopal Church, acting on behalf of the Massachusetts Diocese, with the proviso that the property was “to be held as and for a residence for the present Bishop of the Diocese of Massachusetts as long as he shall desire to occupy the same,” and that when the present Bishop ceased to occupy the residence, Trinity Church had the option to purchase it back for the same price. Phillips Brooks died in January of 1893. 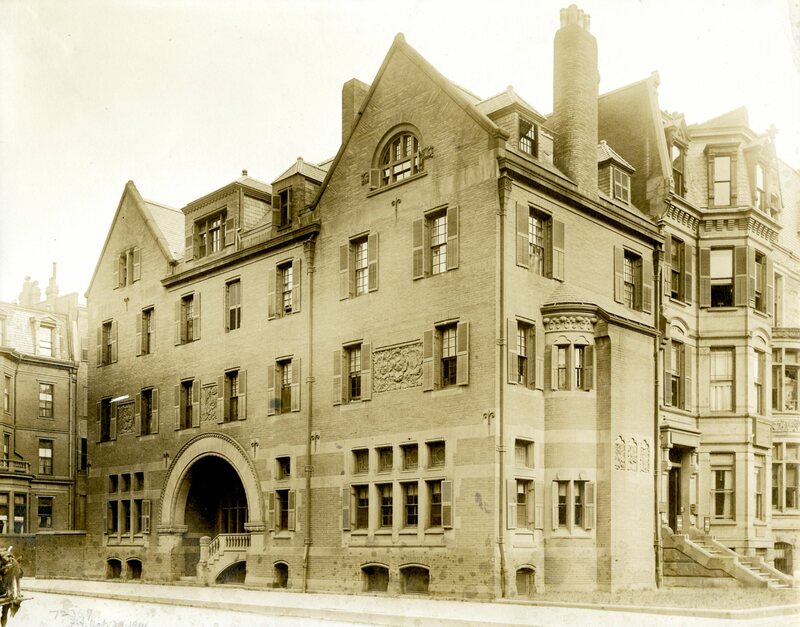 On April 15, 1893, Trinity Church reacquired 233 Clarendon. After reacquiring the property, the church expanded the building through the addition of one floor between the second floor and the roof, with the original roof design and dormers retained. It became the residence of Phillips Brooks’s successor as rector, Rev. Elijah Winchester Donald, and his wife, Cornelia (Clapp) Donald. They continued to live there until his death in August of 1904. 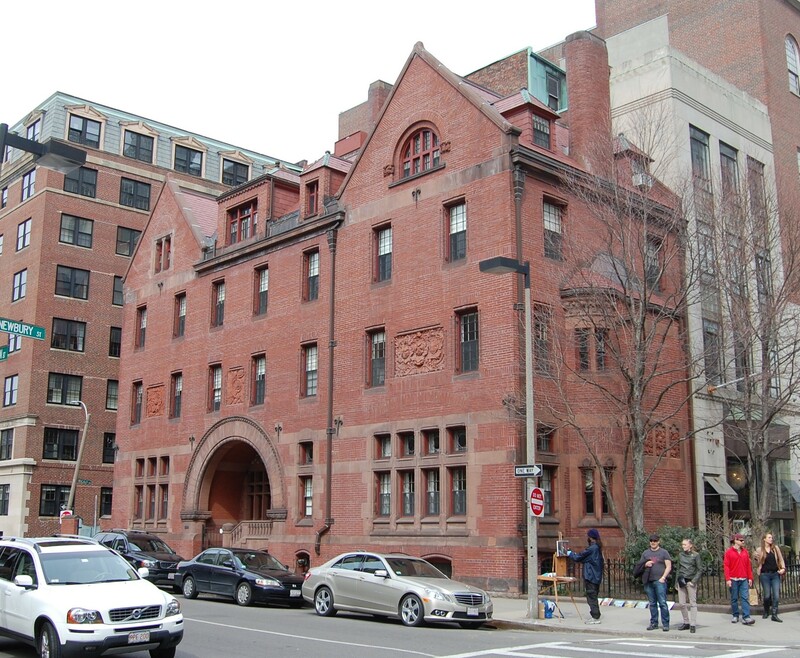 233 Clarendon remained the Trinity Church Rectory until 2006, when the Church converted the property into offices.